Knowing the differences between FTL and LTL shipping can help you make the most out of your shipping budget. With the many different shipping methods available, companies may have trouble understanding the best method for their needs. Air, rail, and truckload all have advantages and disadvantages that one needs to be mindful of before shipping their freight. Shippers need to identify the size of their freight, their shipping budget, how quickly the freight needs to get to its destination, and how fragile the cargo is in order to determine the best way to move it. For most shippers, truckload shipping will be an ideal way to get their cargo from point A to point B, owing to its flexibility and affordability. There are two methods of truckload shipping available – full truckload (FTL) and less-than-truckload (LTL). FTL and LTL shipping is different in many key respects, and understanding the differences between them will allow you to make the most out of your budget and positively impact your company’s bottom line. Here is a basic primer on the differences between FTL and LTL shipping. For large shipments that need the entire space of a trailer, FTL shipping is a good shipping method to utilize. In general, we recommend FTL shipping if your cargo shipment is larger than ten pallets or if the freight weighs more than 15,000 pounds. FTL does cost more to use than LTL shipping methods, but it also comes with a wealth of benefits for the shipper. 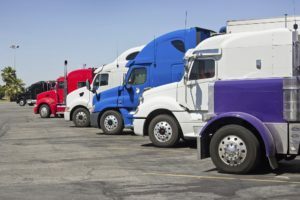 For instance, since the shipper does not need to share truck space with another company, the truck can move directly to its destination without additional stops, creating a much more reliable shipping timeframe than LTL can offer. Also, the initial financial outlay for FTL shipping makes sense when you compare it to the cost of breaking up your shipment into smaller units for LTL shipments. This makes FTL shipping a reliable, economical way for shippers to get bulk shipments to their final destinations quickly. When a shipment isn’t large enough to fill an entire trailer, companies should look into LTL for their shipping needs. We recommend this method for shipments weighing less than 15,000 pounds or under ten total pallets. LTL shipping pools together shipments too small by themselves to warrant FTL shipping, which means you end up sharing space with other shippers. This does come with a few disadvantages. For example, in a trailer that is used for LTL shipments, the cargo often needs to be unloaded and reloaded several times before reaching its final destination. This may increase the chances of damage during transport, especially if your cargo is fragile. In addition, transport times tend to be a little longer since the truck will need to travel to multiple destinations. Customers with highly time-sensitive shipments may want to look into other shipping methods such as air freight if their cargo cannot fill an entire trailer. However, for many other situations, LTL shipping is an ideal choice since it combines the flexibility of truckload shipping with low costs. You only pay for the space you need on the truck which helps your company’s bottom line. There are a ton of options out there when it comes to shipping your goods, so it’s understandable if you’re confused about which one will help advance your company’s goals. Luckily, 3PL companies like AFP Global Logistics can clear up any confusion and help you choose the right methods for your needs. We offer versatile solutions custom-tailored to your unique needs based on decades of experience in the FTL and LTL shipping fields. We pride ourselves on our dedication to customer service and satisfaction. The needs of your business come first, and we understand the best way to put your business in a position to succeed. And while you might think that working directly with carriers might be the most economical choice, AFP Global Logistics has fostered relationships with trucking companies through the years, allowing us to negotiate better rates for your cargo shipments. Better yet, we know how the freight industry is set to change in the near and long-term future, so we can prepare your shipping department for all of the changes still to come! This entry was posted on Friday, November 3rd, 2017	at 10:36 am	and is filed under Domestic Shipping, Shipping Methods	. You can follow any responses to this entry through the RSS 2.0	feed. Both comments and pings are currently closed.